Electrical noise is voltage spikes, generated by the routine operation of selected system components (sources), that interfere (due to a coupling mechanism) with the routine operation of other selected system components (victims). Most industrial control products do not utilize high frequencies directly, but they can generate them in the form of noise. Logic circuits are affected by this noise, so you need to be able to control it. 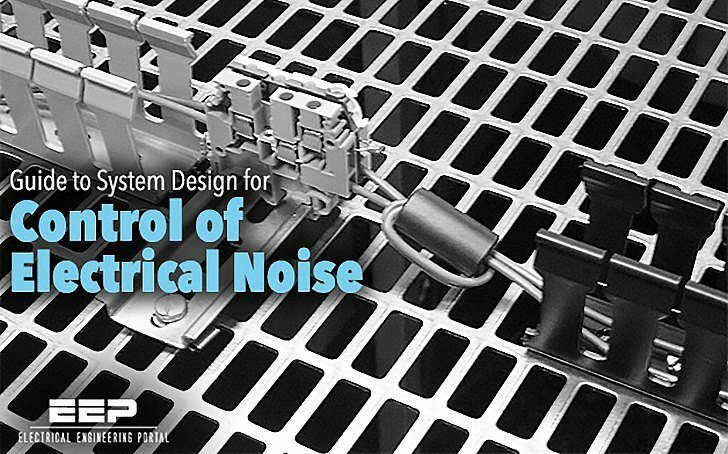 Because it is far less expensive to apply noise control measures during system installation than it is to redesign and fix a malfunctioning system, we recommend you implement the best-practice procedures described in this document. If basic measures are implemented rigorously, a reliable system should result. However, if just one wire is routed incorrectly or a filter is missed, it may be enough to cause problems. Experience shows that it is very difficult to ensure that these measures are applied 100% of the time. If all possible measures are taken (incorporating redundancy), the system is likely to be more tolerant of minor mistakes in implementation. A typical industrial control system will contain a mixture of noise sources and potential victims. Problems are caused when a coupling mechanism is introduced. Mechanically switched inductive loads create intense intermittent noise. PWM drive power outputs create intense continuous noise. Switch-mode DC power supplies can create continuous noise. Microprocessor clocks can generate high levels of noise at the clock frequency and its harmonics. Of the noise sources listed above, only contact switching noise can be reduced at the source by the system builder. 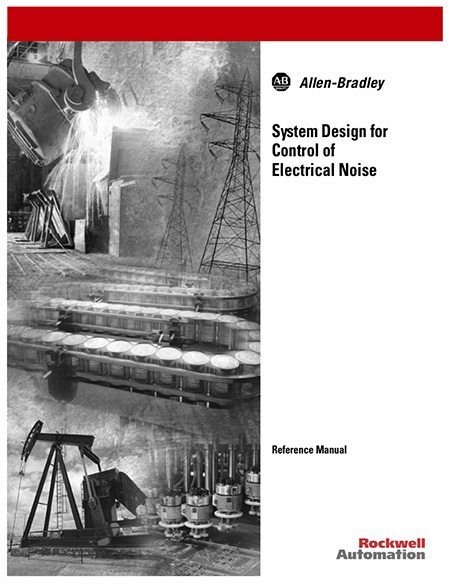 Use this manual if you are responsible for the circuit design and layout of wiring panels or the installation and mounting of Allen-Bradley products. In the aplication of LED`s drivers for Urban Lamps, how can we control the noise generated by the front rectifier?in the way that we dont affect the 5% THD of the utility?